Run through the pain. Isn't that what they say? No pain, no gain. Wait is that right? Feel the burn. Okay, I know that one is totally from the eighties and proven incorrect today, right? Oh hell, I don't know. Are you there Google? It's me, Angela. The pain in my calf was burning that was for sure. Luckily, I had my trusty iPhone with me on the treadmill. As I was hobbling through my run, I googled "should I run through extreme calf pain." No one has ever accused me of not being able to multitask, um, duh, I'm a mom. Google gave me a million articles that basically all said "stop running dummy and rest." I begrudgingly gave in and limped back to the locker room. I was a sad sight. After a quick shower, I propped my pathetic, aching calf up on a table and waited out my remaining 30 minutes of available child care at my gym. Friends stopped by to say hi and I told them about my injury. "It's bad," I told them. "I might need crutches." Crutches were the only way I could justify skipping out on a workout. I mean come on, a sore calf? What a wimp. But honestly, I had no basis for the crutches, except I knew I was in a lot of pain. I've often pushed a little too hard. In the past, I vowed to make certain people like me or else. I would laugh at their jokes harder than others, I would tell funnier stories than others. I made it my job to prove how awesome I could be. Think "you're gonna love me" all Jennifer Hudson style in the Dream Girls song And I Am Telling You and you get the picture. Usually, my pushing made those chosen people turn and run the other way. In the audition process I would often forget to take care of me. I'd forget to protect my heart (not to mention my pride). Running has been a passion of mine since JT (my third child) was a baby. After my first (and only, so far) marathon. Checking out the 5-K course of the Hometown Hustle. Girls on the Run 5K with my girl. The Great Race a Pittsburgh Family Tradition/Rite of Passage. I love the solitude. I love running with my kids. I love the challenge. I love the control. I love the cheering at a race. Seriously, I think everyone should run at least one 5K just for the cheering alone. Where else can you get a crowd of people cheering for you? 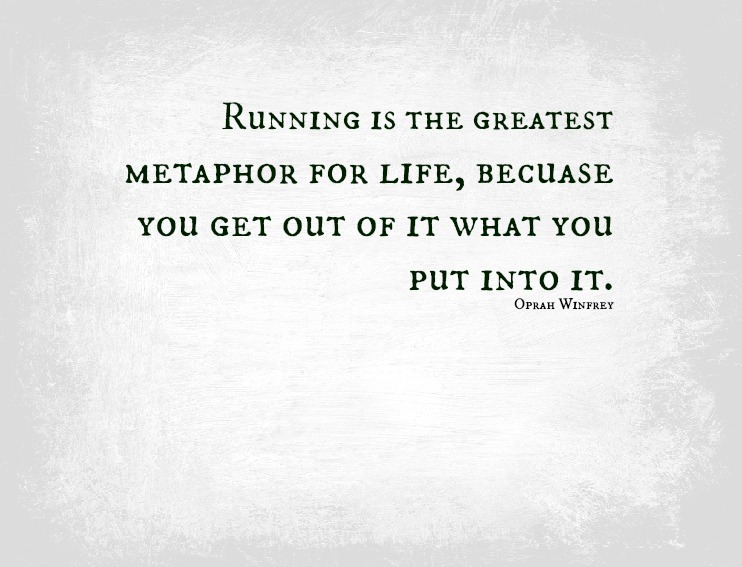 But just like all those ex-boyfriends and mean girls of my past, I pushed too hard with the running. I was all Salt n' Pepa "Can't you hear the music pumping hard like I wish you would..." Laced up in bad shoes and not willing to back down, I ran and ran without much thought. I forgot to protect my body. Then my calf muscle was like "yo, hey lady, stop, just stop already." That was three weeks ago and I ignored and ignored and ran and ran. As if I had learned nothing in all my years of pushing too hard. Until yesterday, when the calf gave out and I gave in--there was no more pushing. At the physical therapist appointment later in the afternoon, I was telling jokes and trying to make her love me (old habits die hard, give me a break). She reassured me that with the right stretches and therapy I would be fine. No crutches. "Don't push it," she told me as I was limping out the front door. Maybe that's my resolution: Dear Me, Don't Push It. I like it. I won't push myself on other people obnoxiously, I won't push my body to extreme exhaustion and dehydration, I won't push myself at the expense of myself or others. I won't push busy schedules until we all burn out. I won't push my expectations for a perfect happy family adventure all the damn time. New year, new me and I won't push it. For now, I will wait a couple weeks to get my run on again. I will try not to gain five pounds. I will try and relax and heal. And not push it. Oh no!! I'm so sorry. Take it easy, although I know that's hard to do. Hope it heals quickly. Thank you!!! I am very bad at taking it easy. lol. Thank you my friend. Happy new year!!! It's SO hard to take a break. I hope you heal quickly!